We spent our lunch hour on the side of a closed North Arlington landfill on Thursday, and so did this American Kestrel. 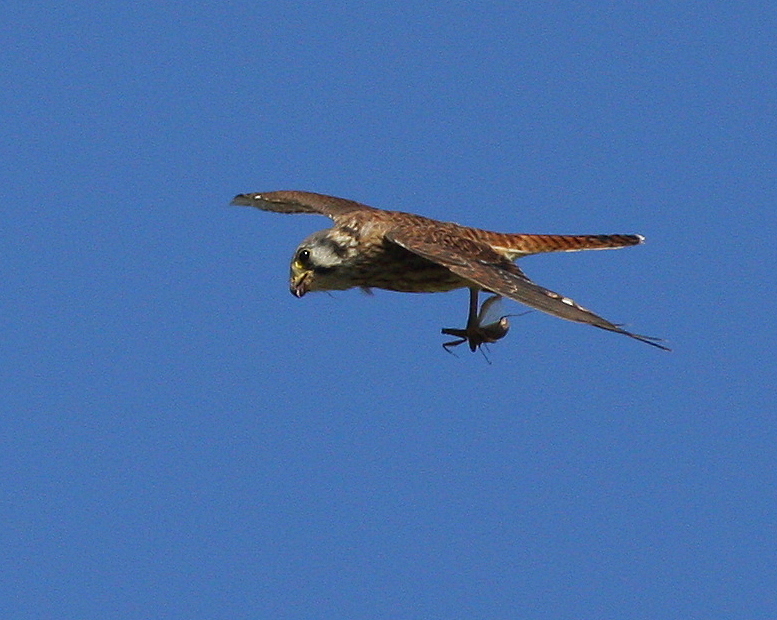 Our lunch was forgettable, but the kestrel's … the falcon dined on a delicacy, in flight. As the bird first came into view, we could see that it had something in its talons. We were so busy trying to photograph the bird that we did not make out what it was carrying. It was only we downloaded the photos that we saw the meal — a Praying Mantis. 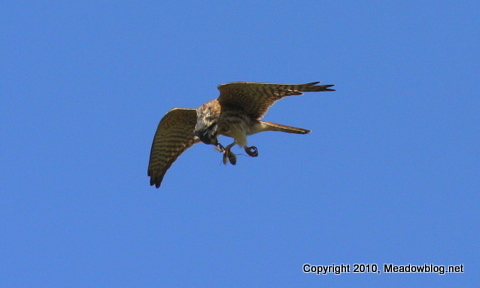 Like humans, kestrels sometimes need to eat lunch on the fly. 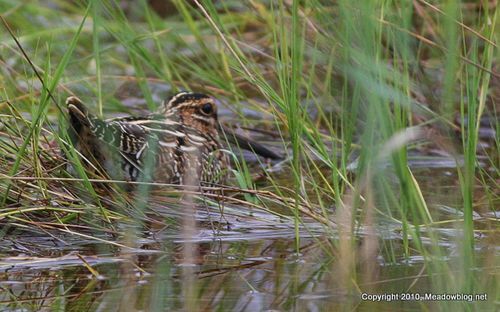 We saw this Wilson's Snipe earlier this week in North Arlington. We detected a little motion and discovered this fellow. We have been trying to photograph one for the blog for more than a year. Sometimes you just get lucky. More on Wilson's Snipes — and why they are no longer called Common Snipes — here.